The standard describes a numerical method by which the core and surface temperatures of a bare stranded overhead conductor are related to the steady or time-varying electrical current and weather conditions. The method may also be used to determine the conductor current that corresponds to conductor temperature limits. 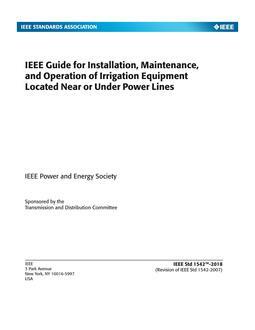 The standard does not recommend suitable weather conditions or conductor parameters for use in line rating calculations. The purpose of the standard is to provide a well-documented method by which the temperatures, steady-state, transient, and real-time thermal ratings of overhead power line conductors can be calculated given suitable weather, conductor parameters, and (for ratings) maximum conductor temperatures. Revision Standard - Active. 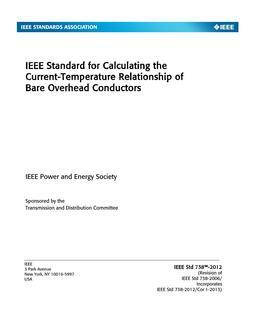 A method of calculating the current-temperature relationship of bare overhead lines, given the weather conditions, is presented. Along with a mathematical method, sources of the values to be used in the calculation are indicated. 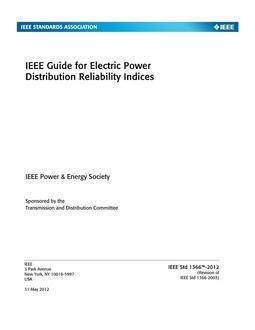 This standard does not undertake to list actual temperature-ampacity relationships for a large number of conductors nor does it recommend appropriately conservative weather conditions for the rating of overhead power lines. It does, however, provide a standard method for doing such calculations for both constant and variable conductor current and weather conditions.